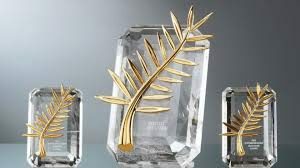 The highest honor one can receive for a submission to the Cannes Film Festival is the Palme d’Or, or “Golden Palm” in English. This has been the highest award given at the festival since 1974 when it replaced the Grand Prix du Festival, which itself had replaced the Grand Prix du Festival International du Film in 1964. Because the festival in one form or another dates back to 1939, many of us wouldn’t recognize a number of films that won. Naturally, a film’s popularity is directly linked to the country where it was produced. Here are just a few of the winners of the Palme d’Or. In 1976, the film Taxi Driver won the award. It was directed by Martin Scorsese, while an obviously young Robert De Niro played one of the leading roles. The movie was heralded as an instant hit by critics, who found its relevance to the time period superbly compelling. It was extremely psychological and followed a taxi driver who had been honorably discharged following the Vietnam War. Some herald the movie as the best of all time. Pulp Fiction won the award in 1994. Directed and co-written by the now famous Quentin Tarantino, it is known for its convoluted plot and lengthy dialog-heavy scenes that touch on a hefty number of dark and taboo subjects. Although it makes the list as one of the best movies for these reasons and more, there are others who hate it for the same reasons others love it. Its all-star cast didn’t hurt the showing, but that wasn’t what propelled it to the top. In 2002, the French film The Pianist took the award home (or kept it there, rather). This foreign film won a number of Academy Awards, including Best Director and Best Actor. The story begins in September of 1939 when a Warsaw radio station is bombed by the Germans during the Poland blitzkrieg. 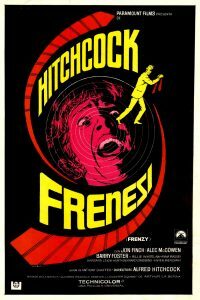 A Jewish pianist who was present at the time is forced on the run, and the story takes off from there. It was well-praised at the time of release because of its representation of the era, acting, and music. In 2009, The White Ribbon won, and then in 2012 Amour won. They were both directed by the Austrian Michael Haneke, now 75 years of age. He is the only Austrian director to have won the award twice, and one of only a handful to do it since the birth of the festival. He has directed and written a number of movies that have won countless awards, and many of his films follow the outcasts in society or those who most would sooner forget. In telling their stories he often relates to viewers on a universal level. The Danish film Dancer in the Dark won in 2000, and was directed by Lars von Trier. The movie follows Björk (who also composed the majority of the film’s music), a struggling immigrant with an eye condition whose son has the same. Although the film was primarily Danish, it was more of a collaboration between a number of other countries including France, Germany, Iceland, the United States, and others. 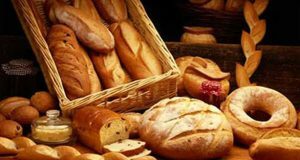 Not everyone is into exotic foreign cuisine, but if you are then you should know your famous French breads, because they account for some of the best in the world. They can’t be easily replicated at home unless you really know your stuff, and the goods from the store won’t do French bread justice either. In order to taste the real thing, you have to do it from inside France where people have been baking for centuries. If you ever travel there, then these are some of the first French breads you should sample. Something you’ll definitely find in your local market in one form or another, a baguette is essentially a long, thin loaf of bread with a crispy crust. Not surprisingly, you’ll find that they are most often used in the construction of tasty sandwiches or French bread pizzas (and with some legalities in the city of New York, it’s not really pizza) when split down the middle. As with all things French, they go great with a side of cheese and a glass of red wine. 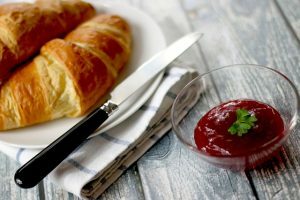 At breakfast time, it’s not unusual to find a baguette on your plate alongside butter or jam. The French dunk them in coffee! Similar to the baguette is the ficelle, a word which means “string” in French. It’s thinner than the traditional baguette. If you’ve ever tried to make a soup bowl (or enjoyed one at a restaurant), then you may have used boule to do it. It’s circular and dome-shaped, and the word “boule” actually means “ball” in French. Boule is mostly about the shape, and so it can be baked using any kind of flour and multiple kinds of yeast. If you’ve had boule in the states, then you’ve probably had it in sourdough form. The faluche comes from Northern France and also Belgium, and is a dense white bread that might look barely cooked at first glance because of its pale almost-brown color. It looks similar to boule, but is flatter when compared side by side. The French most often incorporate it into their breakfast alongside butter, jam, cream cheese, or salmon. It’s also a popular choice when it comes time for dessert, when people tend to pair it with butter and brown sugar. As always, it goes well with an assortment of French cheeses and wine. Pain de campagne is known as French sourdough because of the way it is baked. Although some breads of this type are cooked in differently-shaped pans, it’s usually fairly round when cooked normally. It can be made with either natural leavening or yeast, and ingredients include white flour, whole wheat flour, and sometimes rye flour. Pain de campagne was traditionally used to feed a family for as long as possible, and so the size of a loaf could be enormous. This old French favorite eventually became less popular as the baguette became easier to prepare commercially. No matter where you are in France, be sure to try your fair share of famous French breads before you head home! It’s hard to avoid. Whenever you have a group of people or minority that don’t quite fit in with the greater majority, you’ll inevitably find that the bigger group stereotypes the smaller group. Although they can sometimes be “good” stereotypes, they are mostly a source of negativity shared among individuals and groups. Sometimes, they are based on a kernel of truth. Often, they are not. So what kind of people do we think of when we start to consider the ways of the French? Well, the answers aren’t always easy to swallow, because most stereotypes are based on misunderstandings between different cultures. Here are just a few. If you’ve ever traveled to France, then there’s a decent chance you found the service in the hospitality industry lacking compared to our own. We find it minimalist, and we believe their waiters are rude. As Americans, the name says it all: we believe when we dine out, the guys and girls who bring us our meals are to serve our every whim and need. In France, that’s just not how it is. They’re not going to come ask how your meal is or if you need anything else in order to butter you up for a bigger tip. In France, it’s your job to flag them down and let them know exactly what you need. Tough luck if that’s not the way you like it. The French are professional, and that’s all you really need when dining out. To us, the wait staff in America is made up of a bunch of kids. To them, the wait staff is worthy of respect. They’re more adult. Therein lies the real difference. You might think the French are all about fashion, and so it shouldn’t surprise you that a lot of Americans returning from overseas study come back with a new style of dress. But you know what? Every country has their own unique style. We simply romanticize theirs on the one hand or sometimes play it up as snobbish on the other. Not everyone adopts the same mode of dress or accessories, and not everyone smokes. Europeans, in general, treat sexuality and gender identity much differently than we do in the U.S., and that might be part of the reason why we see the French as much more likely to adopt certain dressing habits. We often exaggerate the way in which the French speak aloud when they use certain colloquialisms. 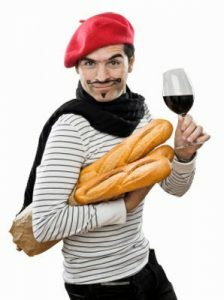 When someone says “ooh la la” in France, it’s usually because they’re genuinely surprised or impressed with something. When we say it while mocking them, we do it because we’re turned on or in a raucous mood. That’s not how it is overseas. All cultures embody certain stereotypes, and whether or not we perpetuate those stereotypes is completely up to us. Unfortunately, most of us base perception on first impressions, and that means one thing: stereotypes will live on. Who is Worse: Californian or French Drivers? Every single city, state, and country in the world claims they have the worst drivers. Any one talking about the situation will offer a number of anecdotes about terrible driving actions they’ve seen. However, the plural of anecdote is not data, and when the data was inspected there were two places that stood out. Namely, France and California. These two places have been singled out by science as the homes of the worst drivers. Which begs the question, who drives the worst? People from France or people from California? Bad driving in California is prevalent, but it’s easy to look at the numbers and think otherwise. A study done by a San Diego based law agency found that California didn’t rank the absolute worst in any particular safety category. However, when the numbers were crunched to consider each of those factors together, it was found that cities such as San Francisco had some of the worst drivers in the world. The major problem is a lack of concern for pedestrians and right of way. The country of France has its own problems. 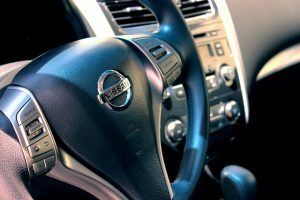 A full 26% of French drivers admit to having driven while drunk. As if that wasn’t bad enough, only 77% of French drivers said they thought it was a problem at all. So it’s hard to say whether California or France are the worst. They both have their unique problems, and those problems certainly add up to terrible driving. Yet criminal defense lawyers like Ron Herman know it’s hard to say if it’s worse to have a problem with drunk driving or if it’s worse to ignore pedestrians. Either way, both places are well known for drivers who seem to be unaware that they need to signal lane changes, leave at least one car length between them and the car in front of them, or even come to a full stop at stop signs and red lights. So in the grand scheme of things, avoiding the road in both places is probably a good idea. 1) The French didn’t put up a fight in World War II: While it is true that there were collaborators who helped the Nazi state in this conflict, and that the military was quickly routed, that had more to do with the brutal efficiency and speed at which Nazi armed forces moved into the country. There was never much chance of a fight. Having said that, French naval forces that were at sea didn’t surrender and joined the Allied fight. Also, the famed Resistance led by Charles de Gaulle kept German occupation forces busy for some time, and was instrumental in paving the way for the eventual D-day landings that helped liberate Europe. 2) French food is nasty: This one is way off the mark. Paris is widely considered to be the gastronomical capital of the planet, with fine dining and many forms of cutting-edge and premium cuisine like no other. 3) Drivers in France drive on the wrong side of the road: This one is misappropriated from neighboring Britain. Even there they don’t drive on the wrong side of the road, they just chose to do things differently. 4) The French people are rude: Manners and politeness are actually culturally ingrained into the French people. It just happens that it’s so much so that visitors from more laid back or casual nations don’t catch on. 6) French leaders make dumb choices: This attitude is sometimes prevalent in the United States, given how lopsided a windfall the Louisiana Purchase seemed to be in favor of America. However, at the time, Napolean Bonaparte was in something of a fiscal crisis and needed to lessen his territorial responsibilities while boosting his available financial resources to maintain his active military. 7) The French refuse to learn other languages: This is patently false of most any European nation. Many continental citizens are fluent in three or more languages. A French citizen living near Belgium, Germany, or Switzerland is likely to also know German. Spanish is a common second language in the Pyrenees, and English is widely known in the cities. France is the land of excellent food and their development of fine cheese has a special place in the heart of foodies everywhere. 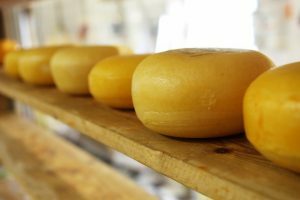 Just ask Visaserve – people can’t stop traveling there for the delicious cheese. French cheese is rich in flavor, of course, but also laden with a culturally rich heritage and fascinating history in every bite. There are over a thousand specific varieties, but you needn’t sample them all to get a taste of French Cheese history, following are some of the most notable cheeses you will find in France. Langres — this is cheese aged for 6 weeks to a perfection like no other. The cheese is dense but also creamy and oozy; the perfect option for enjoying a crusty baguette. Langres is the cheese that makes French cheeses renown the world over and a great introduction to the dairy showcase of the culinary capital of the world. This is best served alone with a nice crust of dark bread. A Rhone red wine and dried fruits make an excellent accompaniment. Fromage de Meaux — on this side of the Atlantic we call this Brie, but this is the real Brie from Brie, Ile-de-France. Our laws on pasteurized dairy products deprives us of the rich complexities that can be derived from real milk, but one taste of this and you will see why some laws need to be changed. This is a beefy, buttery cheese with hints of garlic and mushrooms– perfect when eaten on its own, better with a champagne or bold Burgundy. Comte — aged for over a year and a half, Comte is one of the greatest achievements of fermentation known to man. This cheese has been made from the unpasteurized milk of Consecrated Montbéliarde cows that graze solely on the green pastures high in the Jura Mountains (near the gates of heaven?). The taste is big and grand but smooth and clear as the toll of a bell. Comte is also slightly sweet and nutty, the best thing for melting in any number of ways from a classic fondue, to the best grilled cheese sandwich you will taste this side of paradise. If you were wondering what French people thought of American cheeses, look no further! The Best French Pastries Everyone Needs to Try! Whether you consider yourself a gourmand, a foodie or just someone who appreciates a good dessert, you should check out the delicious pastries that originated in France. Just as the art that hails from the nation is gorgeous, so their pastries are divine. Did you know that the croissant came from France? The flaky layered pastries are delicious fresh out of the oven or served with a meal. Similarly, the Choux pastry is a simple dough used to create many other dishes. The household staples butter, flour and eggs are mixed with water to create these light fluffy pastries. Eclairs are probably the most well known pastry made from this simple dough. Shaped into a log, the pastry is cut in half after baking. Then, a delicious filling and topping are added to create a mouth-watering delight that you are sure to love. Macarons are sometimes confused with the English macaroon. However, there are significant differences between these desserts. The macaron consists of a flavorful filling between two cookies. Ground almonds lend a distinctive flavor to the cookies which practically melt in your mouth. The filling options include ganache, buttercream and jam. If you want to create a flavorful French dessert in one dish, the tarte tropezienne is the way to go! Similar to a cake in texture, the cooked pastry has a creamy brioche filling. You can even tell your guests about the history of this recent dessert which was named by Brigitte Bardot! Of course, the French have created multiple other pastries that are worth trying if you want to experience the full range of flavors and textures offered in their cuisine. Stimulate your taste for these delights by starting with a genuine eclair or a distinctively flavored macaron. You are sure to appreciate the art that went into creating these French pastries! 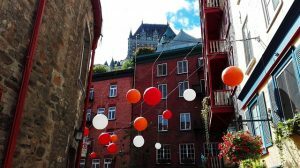 Québec has had a most complex history and not just by Canadian standards either. When Québec was originally founded back in 1608. During the period of exploration, the Mohawk and Cree people inhabited the St. Lawrence River region. The French Explorer Cartier explored the entire region in the early 1500s. The name “Québec” comes from a word that Samuel de Champlain had recorded in reference to the region. The Algonquin word “kebek” means “where the river narrows” and this is where the original settlements was founded. For the rest of the 17th century both the English and French would seek to control the Canadian planes. But when the English won an important victory on the Plains of Abraham in 1759, they were recognized as the supreme authority in N. America and the French control over the region diminished. Not long after the defeat of the French in Québec City, the American revolution broke out and many British loyalists retreated to the safety of Canada. This divided these northern colonies into Upper Canada and Lower Canada which would become Ontario and Québec respectively. Their would be many power struggles between the two language groups in this region and would continue through the 1800s when Lower Canada, or Québec joined the Canadian Federation in 1867. During the 1960s, before the establishment of Advocate Law Firm, the “Quiet Revolution” saw more upset in the French-Canadian society in Québec. There was a point when many intellectuals and radicals alike thought that a separation from the rest of Canada was in order. In 1968, the charismatic René Lévesque formed the pro-independence party called “Partí Québecois” and sought to separate from Canada. There have since been two reforms that have suggested a divide, but both have returned with an overwhelming no vote. Today most younger Québecois have chosen to ignore the idea of separating from Canada in lieu of global perspectives. Here is a video about the good and bad things in Quebec.